An entirely “hands off”effect! Let the spectator do all the work! With their back turned, a spectator will place an object into one of the brass containers. Amaze them by announcing which Paradox Box they chose without ever laying eyes on them! 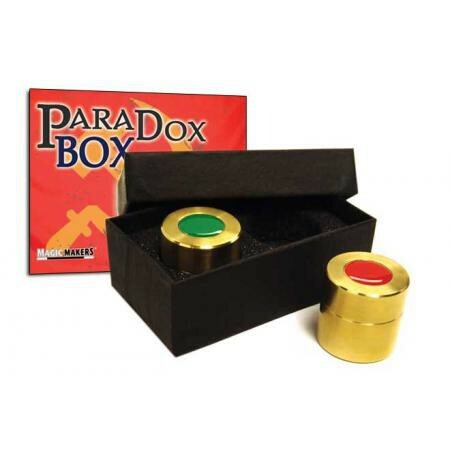 Comes with a red and green Paradox Box in a professional black presentation case. Canisters measure 1.25 in. x 1.25 in.